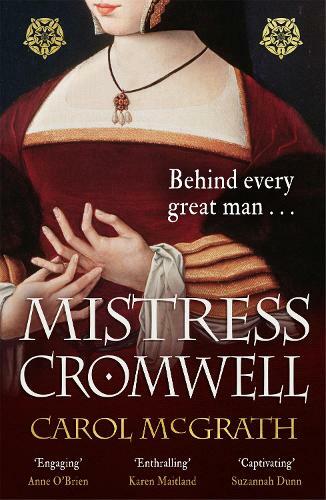 An evocative new novel by the critically acclaimed author of The Handfasted Wife, The Woman in the Shadows presents the rise of Thomas Cromwell, Tudor England's most powerful statesman, through the eyes of his wife Elizabeth. When beautiful cloth merchant's daughter Elizabeth Williams is widowed at the age of twenty-two, she is determined to make herself a success in the business she has learned from her father. But there are those who oppose a woman making her own way in the world, and soon Elizabeth realises she may have some powerful enemies - enemies who also know the truth about her late husband. Security - and happiness - comes when Elizabeth is introduced to kindly, ambitious merchant turned lawyer, Thomas Cromwell. Their marriage is one based on mutual love and respect...but it isn't always easy being the wife of an independent, headstrong man in Henry VIII's London. The city is filled with ruthless people and strange delights - and Elizabeth realises she must adjust to the life she has chosen...or risk losing everything.